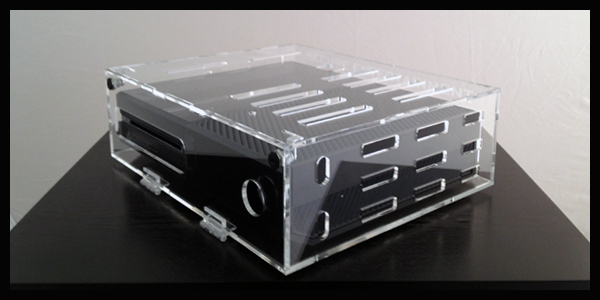 XBOX One Security Case. 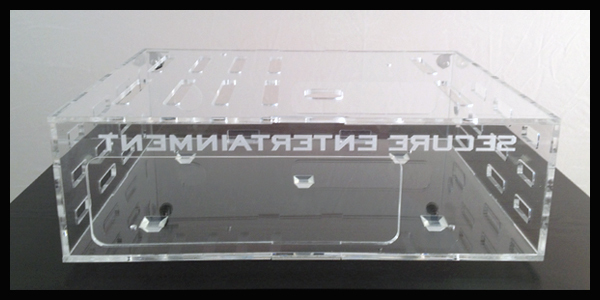 Game Console Security Case. The open game slot option is perfect for situations where you want your gamers to be able to freely change the games. When choosing the closed option, this will allow the games to only be removed when the security case door is opened with one of the provided keys. 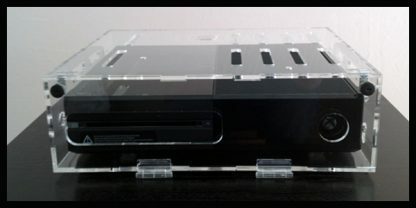 Microsoft has released a newer, slimmer model of the XBOX One ®. 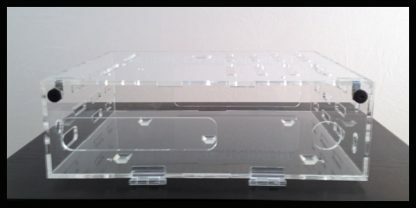 This new model requires different hole placement on the front of the CAGE ™. Please take a look at the photos below and choose the appropriate model of XBOX ONE ® you will be using. If you would like to make the game disc inaccessible to players, please choose “closed” from the Game Slot Opening option below. 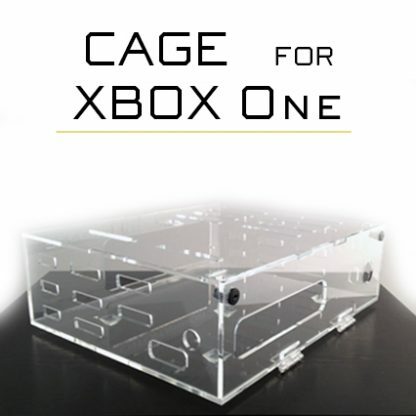 Designed for durability and attractiveness, the CAGE ™ XBOX One Security Case is made from clear cast acrylic and is chemically bonded at every seam for the most secure solution available. The clean design allows for securing the XBOX One ® in any location. Each CAGE ™ is custom designed for each game console and will not impact your equipment’s original heat dissipation capabilities. 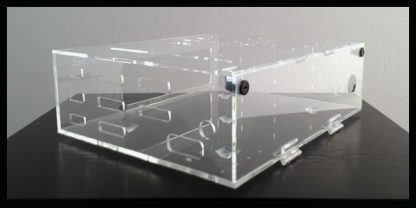 In addition to the CAGE’s heat dissipation vents, there are also openings available for connecting the system’s power supply, a/v cables, XBOX Kinect ®, and any other available gaming accessories. Each CAGE ™ Security Case can be secured to any surface using 4 provided screws.